The HELOS Mini Solo Set is a custom set featuring the same premium quality micro-style pen vape that comes in the HELOS Mini Double Kit. The difference being simply that you get one complete pen set-up instead of two (at half the price). 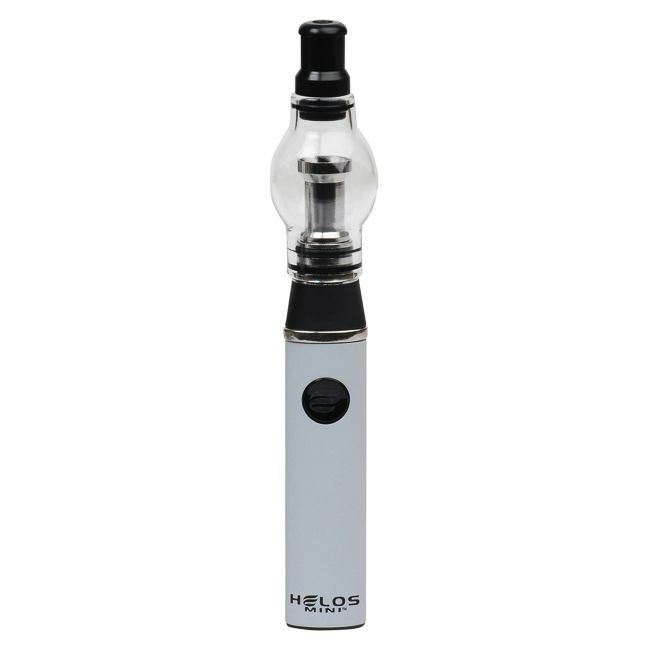 It is comprised of a HELOS Mini battery, HELOS Mini cartridge set, and HELOS Mini accessories. 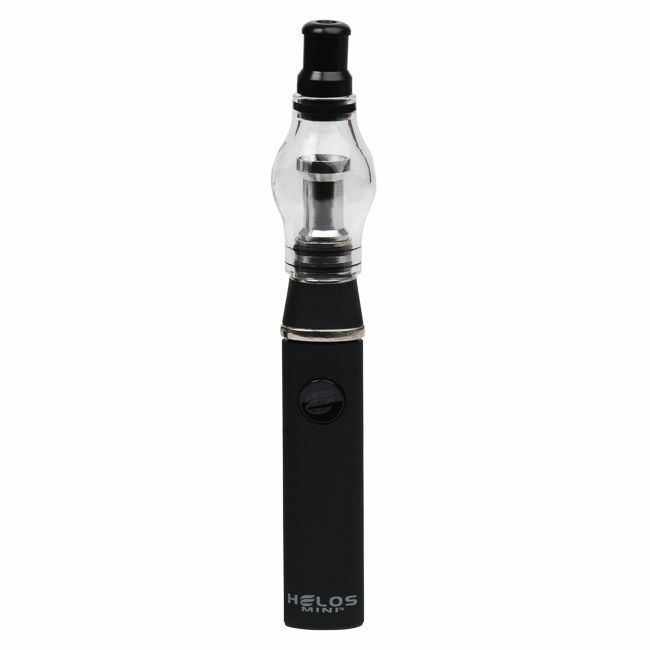 The HELOS Mini is available in sleek Midnight Black or subtle and stylish Vapor Grey. 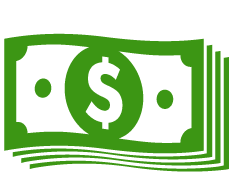 It offers a custom designed battery with a high quality battery cell under the hood. This translates to optimal performance over the long term. The Mini's custom black power button has a tight fit and will not come loose, "fall out" or "cave in" - common pitfalls seen in lower quality pens. The base also fits tightly when inserted into the battery, and will not loosen over time. When activated or in use, the signature HELOS "E" icon will glow bright orange, letting you know you are well on your way to vapor town. Charge your new pen using the included micro USB charger, which is far superior to frustrating "wind up" charging cords which can easily tangle or rip during use. You can also recharge your Mini with any other micro USB charging cord, commonly used with most non-Apple mobile devices. While charging, a small light on the base of the battery will glow red. When fully charged the light turns off letting you know it has been charged to capacity. Easy peasy! 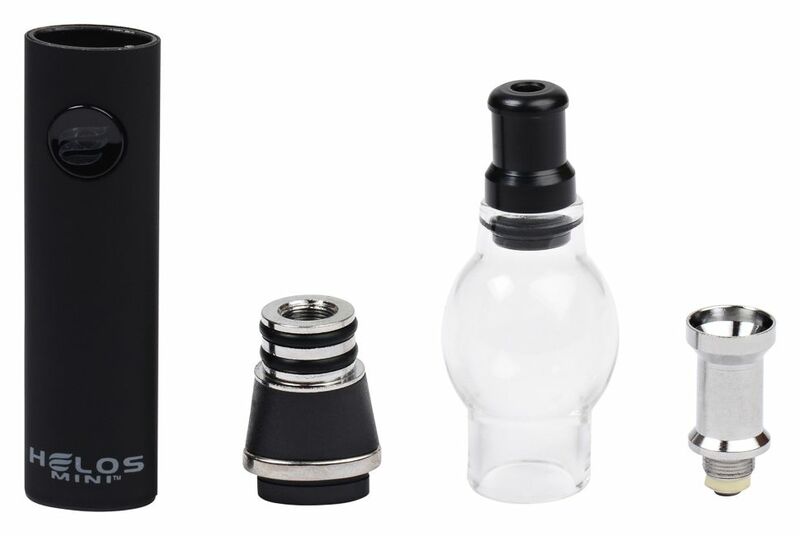 The Mini utilizes a familiar borosilicate glass globe cartridge designed to efficiently vaporize waxy materials and essential oils at the touch of a button. 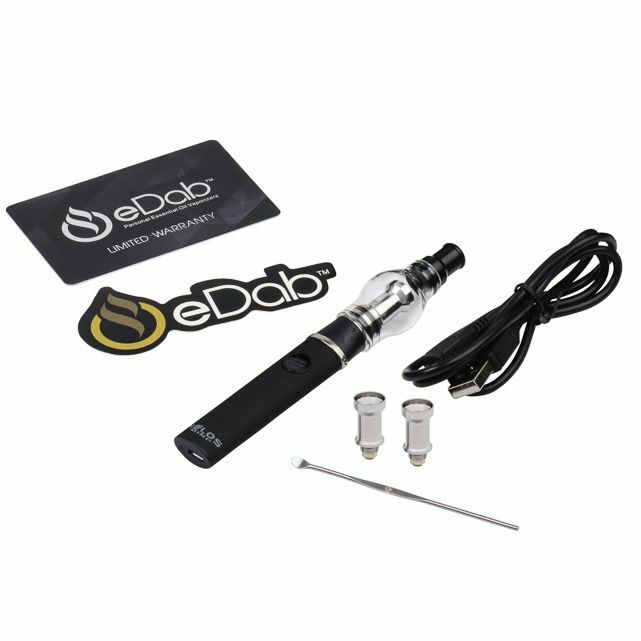 The glass globe design is ideal as it allows you to watch the entire process go down while also aiding in the vapor cooling process, resulting in a smooth draw each and every time. 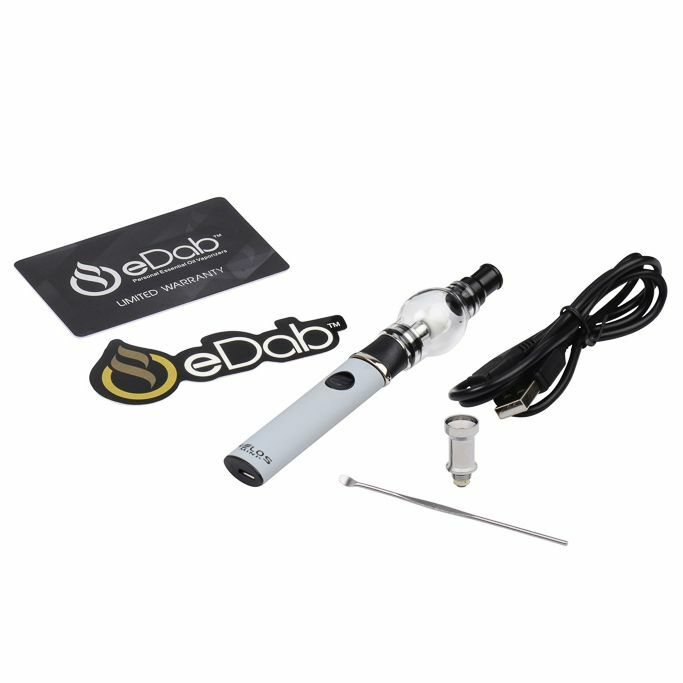 The HELOS Mini Solo Kit includes eDab's unique Titanium Element eFunnel coils. 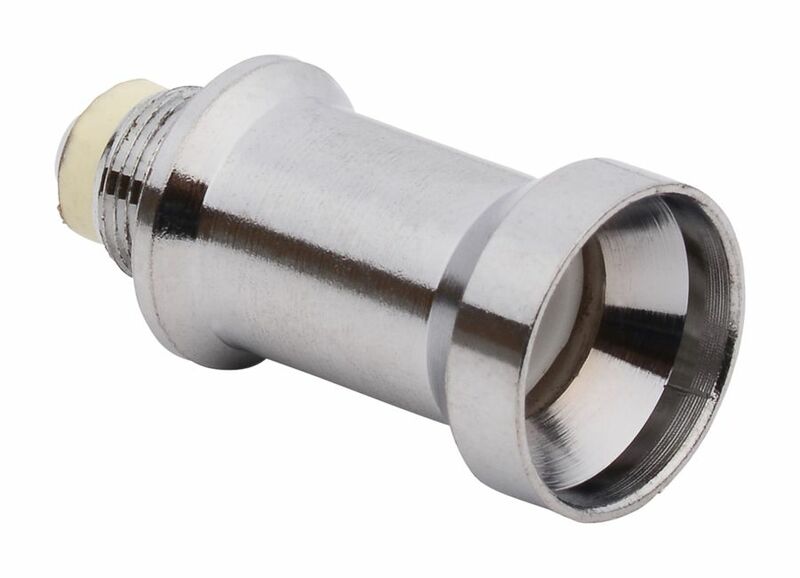 This popular stainless steel funnel design creates a simple and easy filling process while virtually eliminating waste and spillage, greatly improving efficiency versus other common coils. A total of 3 coils are included in the kit, so you will be blowing clouds uninterruptedly for the forseeable future before needing to buy replacements. The included stainless hand tool is the perfect companion to your HELOS Mini pen and is all you will need to load material into your new pen quickly and easily. To help get you started, this custom set-up also includes a detailed instruction manual. In case something goes wrong, you'll be covered by eDab's 6 month warranty, just make sure you hold onto the included warranty card which contains the serial number. Although many pens are similar in appearance, a large percentage are made with the cheapest, and in turn lowest quality, components possible. So why buy a generic "no name" pen kit of questionable quality, with no promise of support or performance, when the price is about the same? Have it all. 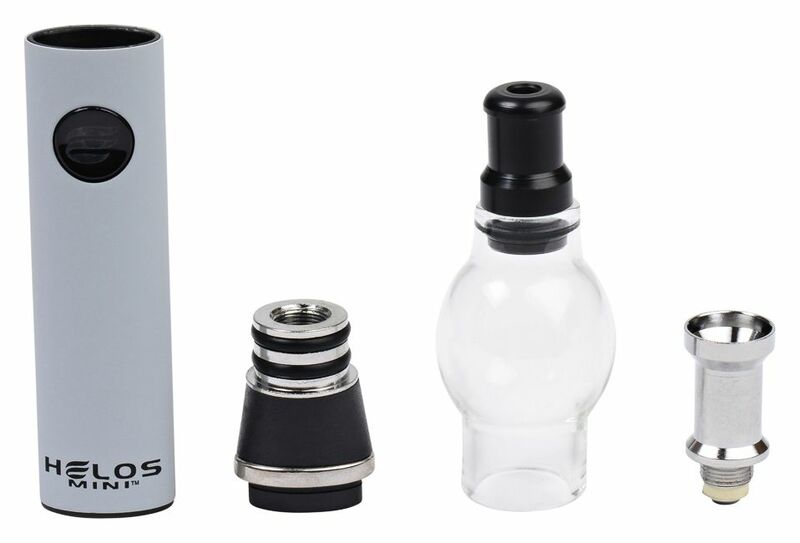 Treat yourself to the HELOS Mini Solo Kit today and discover that vaporizing concentrated materials on the go has never been so simple, discreet and affordable!